I loved watching Bugs Bunny as a kid. 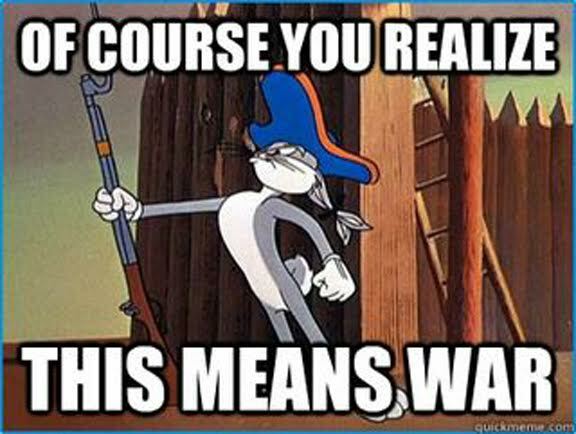 Whether it was Elmer Fudd, Daffy Duck, or a mad scientist, Bugs would put up with a certain amount of harassment until it crossed a line. It was then that he would say his classic line, "of course you realize this means war," before outsmarting them in some way. I wonder if many of us view spiritual battles in the same way. If we really took certain Scripture to heart, how would we view spiritual warfare? The Bible makes it clear that we are at war. We have an enemy who roams around like a ferocious lion, seeking whom he might devour. Our battle is not against flesh and blood, but principalities, and spiritual wickedness. The enemy comes to steal, kill, and destroy while Jesus comes to offer life to the fullest. How do these truths impact everyday life?